Sales is not for the faint hearted. 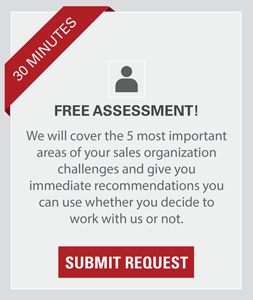 As you begin your journey as a sales professional, you will need all the help you can get. A Certification in Sales Management can prepare you for the rigours of managing and leading a sales team in a competitive world. You will begin from the foundations of sales theory. It will help you adapt your sales strategies as the economy evolves. We will also teach you practical applications of sales theories for when you are leading a team. A Certified Professional in Sales Management is a knowledgeable, consultative and honest sales professional. Hundreds of people have earned this certification from us and they are doing well in their professional lives. We have designed it as a comprehensive program, taking pains to included the latest developments in sales training. It will give you the confidence to face the big bad world of sales head on. The environment for business is constantly changing. Sales education can help you remain current with the most recent developments and new technologies and skills you will need to remain at the top of your game. Whether you are a veteran sales professional or you are just embarking on a career in sales, our Certified Professional in Sales Management course will give you an edge over your peers.